Success and Winter Planning with Asphalt Enterprises, Inc.
For Asphalt Enterprises and other pavement contractors in Atlanta, winter’s chilly presence hit especially hard this year. With temperatures sustaining lows considerably colder that normal, asphalt work - even the types of paving and repairs that normally continue through the winter - came to a screeching halt. So I asked myself, “What the heck are all these guys doing with no work?” “Maybe,” I thought, “they’re all sitting around throwing darts and drinking hot chocolate.” That’s sounds fun, so with that in mind I decided to take a trip to one of Atlanta’s most successful asphalt contractors and find out the truth. As I arrived at Asphalt Enterprises the first thing I noticed was the clean professional look of the environment. I was immediately impressed. Upon going inside I also quickly realized there was plenty going on and lots of people on the move for a mid-February day. With all this hustle I felt like I needed to dive right in to get the information I needed so I didn’t get in the way. From a company that has been through roughly 27 winters, I was pretty sure they had it down to a science. And while there were no darts and cocoa the atmosphere was light and upbeat. The first thing I wanted to know was a little history about the company so I could understand exactly what they were made of. I wanted to find out what a truly successful asphalt business did in the winter, not just an average one. Turns out I came to the right place. 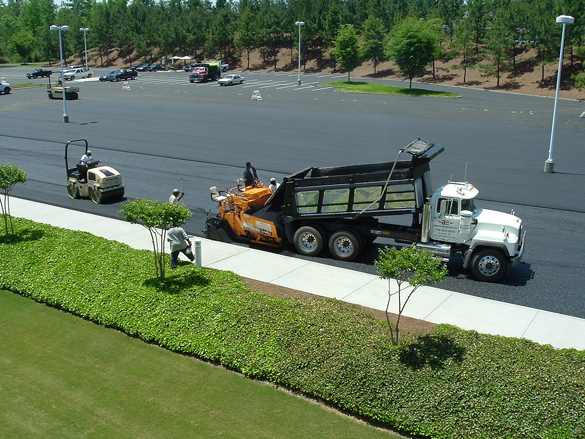 Asphalt Enterprises was started in 1983 by the current President and owner, Gerry Signs.Their primary market includes new paving, maintenance and rehab for commercial and residential properties with sales exceeding 5 million annually. 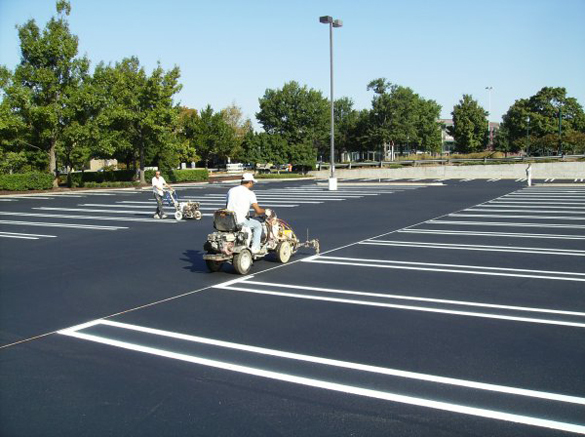 Their services include new asphalt paving, overlay/Perma-Flex paving, crack sealing, asphalt patching, sealcoating, striping and light concrete work. They currently have 25 employees and provide all services year round with the exception of sealcoating. Their sealcoating season begins April 1 and lasts through around Thanksgiving due to minimum temperature requirements. Asphalt Enterprises listed a number of key business characteristics that they felt contribute to the success they’ve found. On the job they project a professional image by keeping clean trucks and equipment. Their crew members also wear company shirts and hats giving them a unified and professional look. In working with prospects and customers they always react quickly. Prospects typically have a custom bid in their hands within 24 to 48 hours of initial contact. Any dissatisfaction from a AE customer is addressed immediately to their complete satisfaction. At Asphalt Enterprises the customer is really King. During the heat of the season the entire business is moving constantly to keep all of these key business strategies and systems in place. All 25 employees are highly experienced and know exactly what to do for any given situation. Placing and refining these systems and strategies is one of the most important aspects of making everything work during the busy season, and that’s a job for Winter. For Asphalt Enterprises winter is a critical time of year. Because the work season is so busy they must take care to ensure all systems are in place. Aspects of the business they review include company utility costs, phone plans, computer needs, GPS unit needs, uniform needs and much more. Winter is also a time when they take care of often neglected tasks such as renewing their fire extinguishers, ordering new employee uniforms, replacing lettering on trucks and equipment. They clean all of their equipment and pull in depth maintenance that isn't always possible during the busy season. These are the types of things that could be easily ignored without the diligence required of a company like Asphalt Enterprises. Winter is also a time when Mr. Signs and his team review company marketing plans and make adjustments for the upcoming year. With so many businesses searching for products and services on the web, they’re devoting a large amount of time to their web marketing program (http://www.asphaltenterprises.com). They also dedicate a portion of their winter going to local trade association shows for their particular markets, and making new prospect connections they can begin to nurture for upcoming seasons. With so much “winter work” to be done this is hardly a time to be lax at Asphalt Enterprises. I was impressed by their winter list of “to do’s” and realized just how critical this “slow” season is to smooth operations during the busy season. In interviewing Asphalt Enterprises I realized that without this time of “winter renewal” a business can’t possibly run as it should. If, however, contractors use this season as a time for refining and improving the business, it can truly propel them to new levels of success. What are you doing this winter? 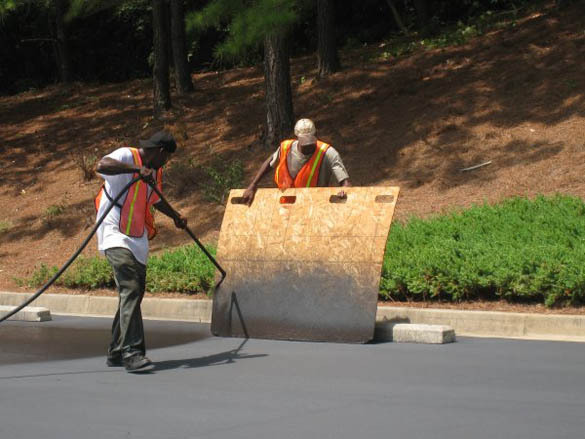 Asphalt Enterprises is an Atlanta paving company owned and operated by Gerry Signs. 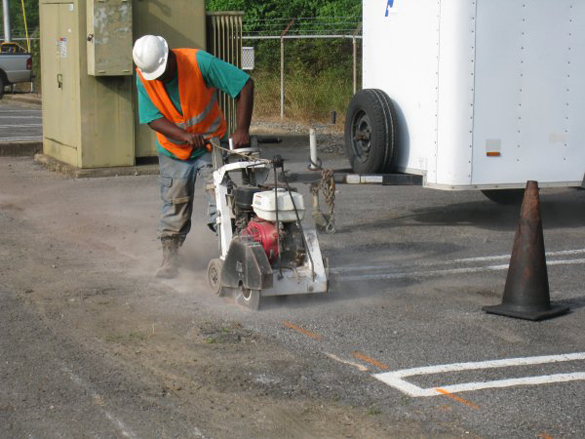 They've offered Atlanta paving, repair and maintenance services to the Atlanta metro area for over 30 years.